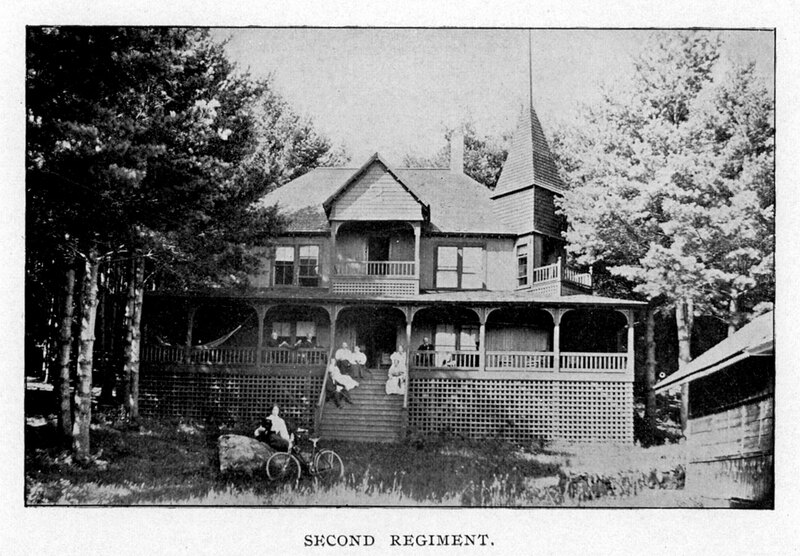 The Second Regiment building was also known as the “Dame House” because most or all of the cost of construction was paid by Harriet P. Dame, the hero of the 1901, 25th reunion. Dame, who had passed away the previous year of 1900, was deemed the “Florence Nightingale of New Hampshire” at the very first, 1875 reunion. For nearly five years, she had accompanied the Second Regiment as an army nurse. The Second was one of the two most active NH regiments during the war (the Fifth was the other). Dame had her own, private room and balcony on the second floor of the house. The house was intentionally demolished in 1993 due to its poor condition.